Easy to see what I need to see and big business value early. Easy to consume reports and evaluating calls has been great. Not much - a little longer setup than I hoped for. Other than that, it's been a great start to the platform and I am excited about the future roadmap and integrations. Definitely worth checking out and evaluating. The recordings have brought some issues to our attention that we can work on fixing. Reporting is much nicer than our previous reporting. They are a great partner to work with and very flexible to the client needs. They have helped us get better at our tracking our marketing campaigns and improve their efficiency. Onboarding process is a real pleasure. The team helping us implement the solution is knowledgeable and really thrives to make the process as efficient as it can be. I haven't yet found anything that I dislike about this solution. At least 40% of our business is still done through the phone, so with Invoca we finally get line of sight into what marketing tactics are driving these conversions. Before we signed up with Invoca we were using a series of spreadsheets to track our phone numbers. On top of that we had several different vendors for marketing numbers. It was a mess. 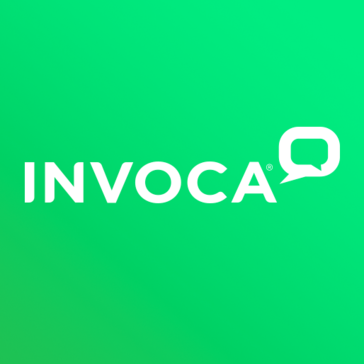 Invoca allows us to track all campaigns in one system! The only thing I can think of is that sometimes some reports are hard to find, but it's probably based on the learning curve. Call quality and accurate call attribution. I dislike that there is no way to set a date when you want a number to end. We have been able to use signal AI to status our calls into a variety of buckets. This has helped with tracking sales cycles. Service and dedication of teams. If they do not know the answer to a problem, they will figured it out. The teams are always open to product improvements and other feedback. Nothing. We have a great product and great support. Make sure you really know what you are getting. Invoca made our tech integrations smoothly. When there were problems they solved them. We had an inability to track phone calls and determine ROI. We are now on a journey to determine the call value by keyword and vendor. This integrates into our larger vision of establishing customer journeys. We are currently optimizing our paid search with the data and gathering for journey building.